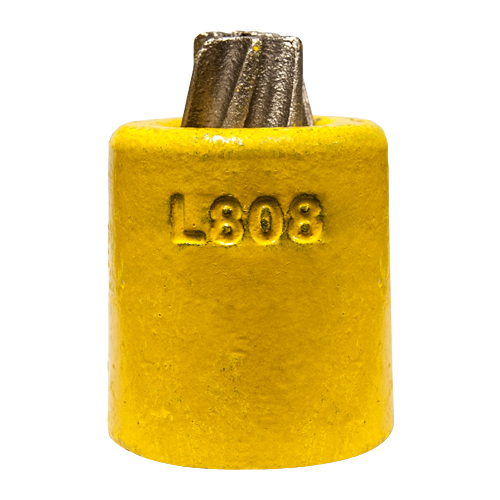 Quick and easy to install, wedge-type quick ferrules (aka "Quick Nub") feature manganese bronze two-piece wedges and work well with common 6-strand wire rope. The two-piece wedge grips all strands of wire rope evenly under load. 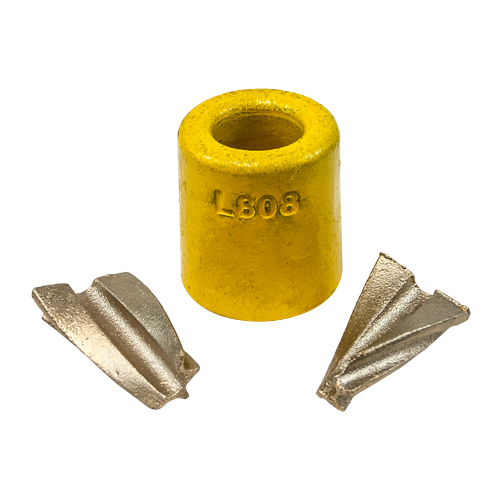 Ferrules and wedges are reusable many times, but wedges can be purchased separately as needed. Color-coded for size, please be sure to match the right size quick ferrule for your application. And contact us for help if needed by calling 800-442-7454!